Looking for a DUI/OVI Attorney Who is Certified in Field Sobriety Tests? In order for the results of a field sobriety test to be admissible in court, the test must be correctly administered. First, an officer pulls someone over with reasonable suspicion and next they must establish probable cause to ask you to get out of the vehicle. An officer needs reasonable suspicion to stop someone, and additional and continuing suspicion to detain them. Failing that, he or she must send a driver on the way. Unlike the Breath Test, All Field Sobriety Tests are Voluntary. 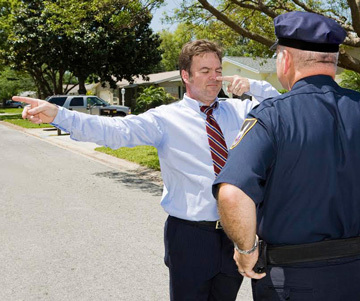 If you are asked to perform any field sobriety tests, it is always advisable to politely decline the tests and request an attorney. If you have been charged with a DUI involving a field sobriety test, it is important to aggressively defend yourself by partnering with an experienced attorney — doing so could save you thousands of dollars, driving privileges and a lengthy stay in jail. When Charged with a DUI/OVI, an Experienced Attorney Can Make a World of Difference. With more than a decade of experience working on these issues, in addition to certification on National Highway Traffic Safety Administration methods of administering field sobriety tests, Dominic Mango is ready to put forward the most aggressive defense for any DUI case in or near Delaware, Ohio. In the event that he is unable to get your case dismissed, Dominic will do everything possible to mitigate the consequences as best as possible. Get a Strong Defense for Your Case with Dominic Mango. Get in touch as soon as possible to best defend your rights. Call (740) 602-2155 or send us a message to set up a free initial consultation to discuss drunk driving and OVI-related matters with our Delaware lawyer.